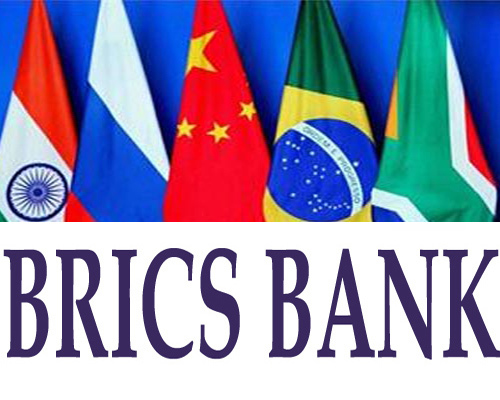 Pioneering banker KV Kamath was appointed on Monday as the head of the New Development Bank, also called BRICS Bank, a multilateral institution set up by Brazil, Russia, India, China and South Africa. The bank’s launch, along with the setting up of a $100 billion crisis fund to contain currency volatility, is seen as counterweights to the US and Europe dominated financial institutions such as the IMF and World Bank. The bank will begin with a $50 billion paid up capital contributed equally by its five founding member countries, with an initial total of $10 billion in cash put over seven years and $40 billion in guarantees.Another $50 billion is expected to come from other members who join in.In July last year, the BRICS nations agreed to set up the bank primarily to fund unmet infrastructure projects. It would be headquartered in Shanghai. The establishment of the Bank will help India and other signatory countries to raise and avail resources for their infrastructure and sustainable development projects.It would also reflect the close relations among BRICS countries, while providing a powerful instrument for increasing their economic cooperation. It is expected to allow India to raise and obtain more resources for the much needed infrastructure development, the lack of which is coming in the way of inclusiveness and growth as of now.It will make available additional resources thereby recycling the savings accumulated in emerging countries which are presently being locked up in Treasury bonds having much lower returns.